Have you Found Your Street in XP10? My place not so empty, but still far from real tight Japanese city. Holy Jessica-this thread seems to be in trouble! Yes, and like Geofa it's just a bit too far out of the major city to have autogen defined. It really annoys and frustrates me that we can't just draw different land-use boundaries in World Editor SimCity-style, and let autogen do its thing. What's the point of autogen if we have to place or draw every building or facade ourselves either in a custom scenery or in OpenStreetMaps? I tried both and gave up after realising i was wasting far too many hours and was aggravating my carpal tunnel issues. It's far too big a task for one person, and who knows when a new OSM recut will be done anyway. And osm2xp isn't a solution either because then you lose the roads! I hope someone can point out an obvious solution that I missed. My street doesn't get depicted, but it should be on the next OSM cut that Laminar does. My beef with the streets however is that they are typically far too wide to represent typical streets in the united kingdom. E.g. A two lane trunk road (typically 8metres wide) is represented as a four lane highway. Likewise residential streets are far too wide. They should be more like 5 metres wide, not 15! Thanks for this "interesting" case .... I am investigating it a bit (because the raw landclass data is not even that bad for Ramon). Thanks for looking into it-yes Ramona isn't too bad. I see the long range vision and beauty of osm but it sure would be nice to have some quick fixes for areas of the world (and it seems the US is one of them) that has large holes. Yes (of course :lol: ) I found my street, although it is a backstreet. Even my house is there - and looks almost right. Well ... ok ... I must admit, the house is there, because I placed it there myself from the R2 library . 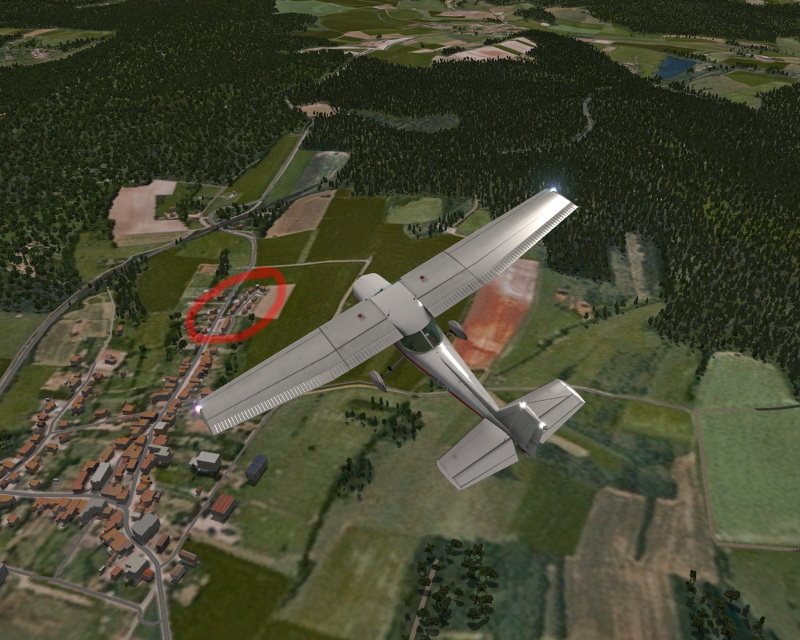 Well - for my area/town it seems to be quite accurate (using the hd scenery from alpilotx). You can easily compare autogen to reality due to the ortho scenery used in this shot. Here's my house in Whitestone Queens, NY Highlighted in red. 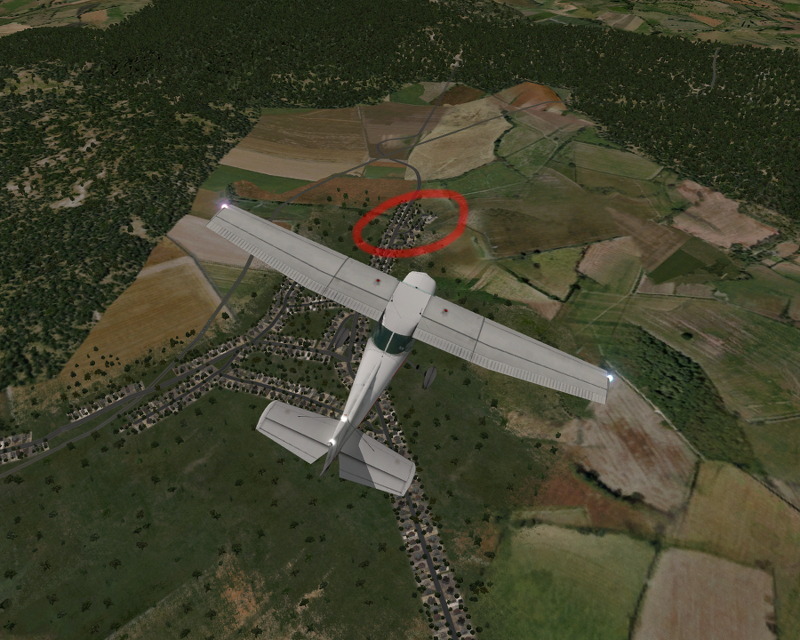 X-Plane 10 default scenery, it looks fine, the forests, the village, all the streets, the railway... It's the simulator with the best worldwide default scenery. I can fly VFR and don't get lost (click for a larger picture). 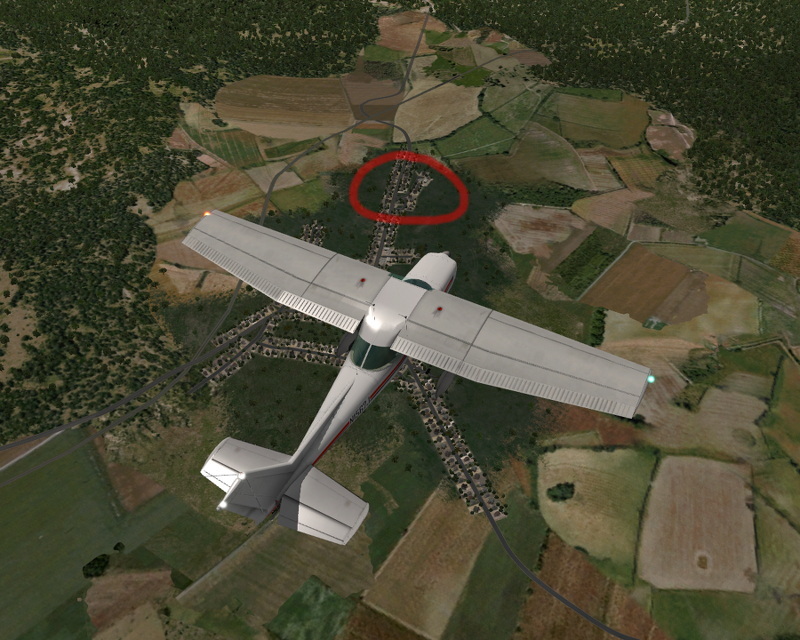 X-Plane 10 with XPOSM roads and railways, OSM2XP buildings and forests (new OpenStreetMap data) and Zones-Photo X-Plane ground textures. Here's just everything including very precise forest edges and every house with it's real size. And osm2xp isn't a solution either because then you lose the roads! There must be a way to improve this using the XPOSM "layout.py" file. Seriously though if I could get the high detail photoreal one can get on Google earth with every rock, tree, house tile, swimming pool, golf course, tennis court ,hiking trails etc. where they are in reality with a much higher mesh than I am getting in xplane presently that would define the mountains I live in better I would really not have many other needs. I worked great for me filling in not so great parts of my neighborhood . I haven't just because I've heard there are some legality issues and it appears to require tweaking which I am not in the mood to do anymore. What I'd love is my 50 cm sim savvy to work in xplane but Larry said there was not enough of a market to make it worthwhile.